Lead contamination in U.S. schools is more pervasive than previously thought, new water testing results from 20 states say. 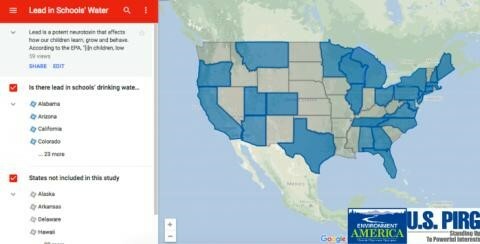 The data was published in an interactive map by Environment America and U.S. PIRG in June. Seventy-one percent of Texas schools tested in 2017 had lead in their water above one part per billion. The map shows several other states where more than half of schools tested found some level of lead. These confirmed cases of contamination are likely only the tip of the iceberg, Environment America said in a statement. According to the EPA, "In children, low levels of lead exposure have been linked to damage to the central and peripheral nervous system, learning disabilities, shorter stature, impaired hearing, and impaired formation and function of blood cells." "Wherever there are fountains, pipes or plumbing made with lead, there is risk of contamination," John Rumpler, clean water program director for Environment America, said. "As more schools test, they are finding this potent neurotoxin in the water our kids drink every day." In the wake of the lead crisis in Flint, Michigan, more and more schools have been testing their water for lead. However, some states and school districts have only reported results above 15 parts per billion — a federal standard that does not adequately protect public health because there is no safe level of lead. The Safe Drinking Water Act requires the EPA to determine the level of contaminants in drinking water at which no adverse health effects are likely to occur with an adequate margin of safety. These non-enforceable health goals, based solely on possible health risks, are called maximum contaminant level goals (MCLGs). "The EPA has set the maximum contaminant level goal for lead in drinking water at zero because lead is a toxic metal that can be harmful to human health even at low exposure levels. 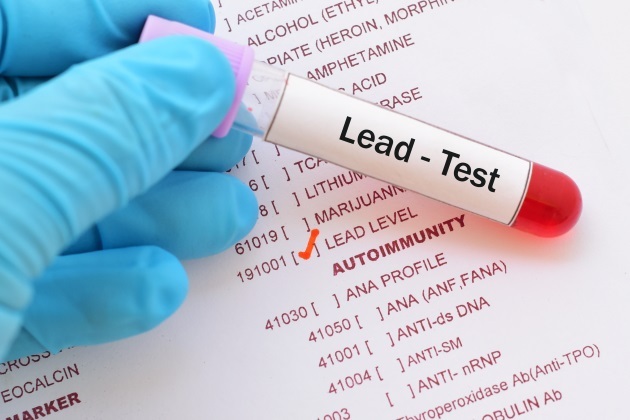 Lead is persistent, and it can bioaccumulate in the body over time," the organization points out on its site. A dose of lead that would have little effect on an adult can have a significant effect on a child, the EPA says. Environment America and other groups are calling on public officials to take swift action to Get the Lead Out of schools’ drinking water. While removing lead-bearing pipes, fixtures and plumbing will take time, school districts can start this summer by installing filters certified to remove lead on all faucets and fountains used for drinking.